ORRC is located directly across from the Howard University Shaw Metro on 7th Seventh St.(Georgia Ave) on the third floor of the Howard University Research Building-1. 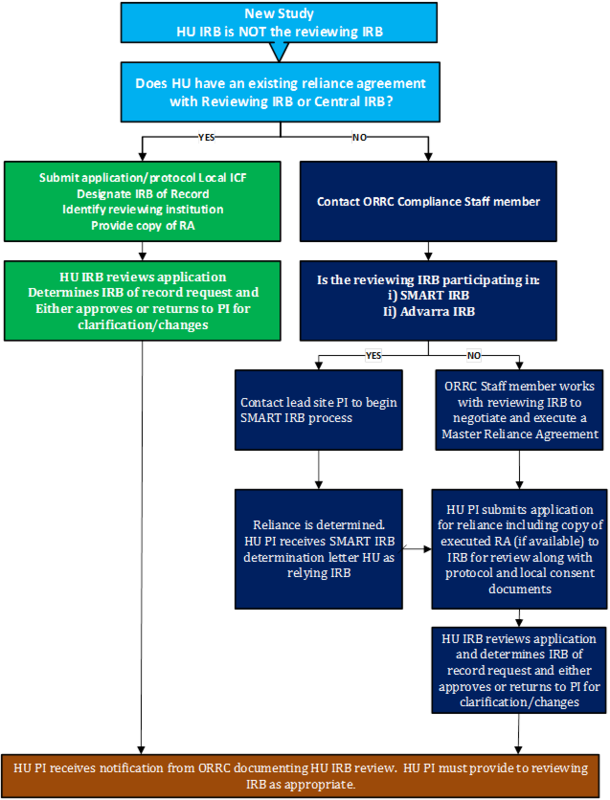 If you are collaborating with an institution that is not registered with SMART IRB, please follow the HU flow-chart below and other information provided above. The ORRC/Howard University is a member of the SMART-IRB portal supported by the National Institute of Health (NIH). Currently, approximately 558 institutions are registered with the platform.